Intruders are like octopuses. They move their legs in whichever way convenient for their purposes and are ready to flee in seconds. They won't only sneak up on you at the darkest hours of the night but will also knock like gentlemen on your front door pretending to be someone else. They have discovered methods and broadened their horizons in order to be more flexible and find ways to break-in. They can pretend to be salesmen to check out who is answering the door or to check out the house. 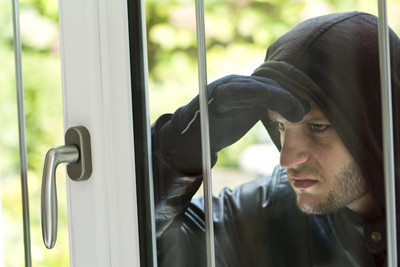 They have their minds on ground floor homes and especially those with open windows and try to reach keys placed close to the window opening. They have found their ways and we must find ours or new door locks won't mean a thing to our security. It's not accidental that many homeowners combined deadbolt installation with the installation of some sort of phone intercom system. They want to have full control over their security. Knowing who is at your entrance before you buzz someone in or opening the door is important. That was always the purpose of peep holes. The problem is that we tend to have good faith in people knocking on our door and answer even if we don't know who's on the other side. Another problem is that the door is usually opened by our children who have no sense of the real dangers and can let anyone in. You should be very strict about certain things and must teach your children a couple of things about security. Kids should never open doors. You must never believe anyone telling you they are from the church or want you to sign a package if you didn't expect anything. Good security door locks will play a significant role in such occasions. That's why their proper selection is vital. They must be durable enough to resist force entry by someone who is determined to get in. Don't give them that chance. Make sure you choose the right bolts andlock installation is done properly. Remember that you will have better control over your home's security if you have the locks replaced if broken and repaired if damaged. Your security will increase with equally good bolts for your windows, too. And one more thing: don't leave them wide open. Don't leave the door unlocked because the kid will soon come home from school. Don't leave the window open because you are all gathered in the yard or you are cooking in the kitchen. Moreover, never leave your keys at places where they can be reached through openings. 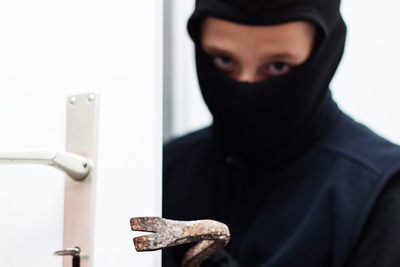 Such mistakes can be the reason for home burglary. You can prevent it.